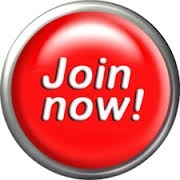 Join Now - Darrington Strong, Inc.
Want to connect with your community? If you're someone who finds it satisfying to engage in purposeful, helpful action; if you want to do more good with less effort while building a stronger sense of community... Darrington Strong could be perfect for you! There are many opportunities to do something that matters, both in the field and behind the scenes. Consider starting you own project or helping others and join an existing project. Do you want to leave a meeting feeling inspired and optimistic about all the good things going on around you? Join us at 7 pm every 3rd Wednesday of the month at the Darrington Library Meeting Room.